Find up-to-date Warehouse District real estate listings in Central Regina below! The Warehouse District is a vibrant historical community that has a unique look and vibe. This neighbourhood covers 80 blocks and is located south of 4th Avenue, along Broad Street, north of downtown, and east of Albert Street. The Warehouse District is home to over 500 commercial businesses, a lively entertainment district and some of the most exclusive loft style condos in the City of Regina. 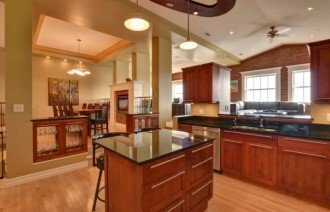 Browse the available Warehouse District homes for sale below, or read more about one of Central Regina's more unique & vibrant areas. In the early 1900’s when the Canadian Pacific Railway headed west, the Warehouse District became the hub for the distribution of goods. Low-rise and high-rise warehouses and office buildings were constructed brick by brick and timber by timber creating a community with a distinct Chicago-style architecture. These buildings have stood the test of time and now the area is seeing a rejuvenation of these historical buildings and green spaces. W.G. Downing, John Deere Plow Co., Ackerman Building, Strathdee Building and the Whitmore Building have all been designated heritage properties. Contemporary loft-style condos feature large windows, exposed brick walls, and huge original timber beams that fuses industrial and luxury into a spacious entertaining suite. 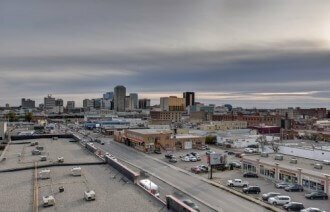 Modern day conveniences such as elevators, storage areas, roof top decks with stunning views of the Regina skyline are all perks to living in the Warehouse District. If you are seeking an urban lifestyle and looking for an easy commute to work and entertainment at your fingertips, the Warehouse District is a place to consider. Along the Dewdney Strip are a variety of restaurants, pubs, micro breweries, night clubs and shops. Throughout the district you will find business offices, home décor shops, health clubs, antique stores, sporting good stores, bakeries, plumbing and electrical businesses, barber shops and hair salons. The list of businesses is extensive and growing. If you are looking to start a new business, the central location and proximity to the downtown core make this a desirable area for independently owned businesses. There is a lot of drive by traffic creating wonderful exposure and visibility for businesses. 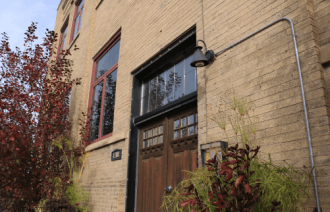 Do you want to learn more about the Warehouse District homes for sale? Please contact the Tourney Group online or call 306-789-1700 to get in touch with local Regina-area real estate professional.